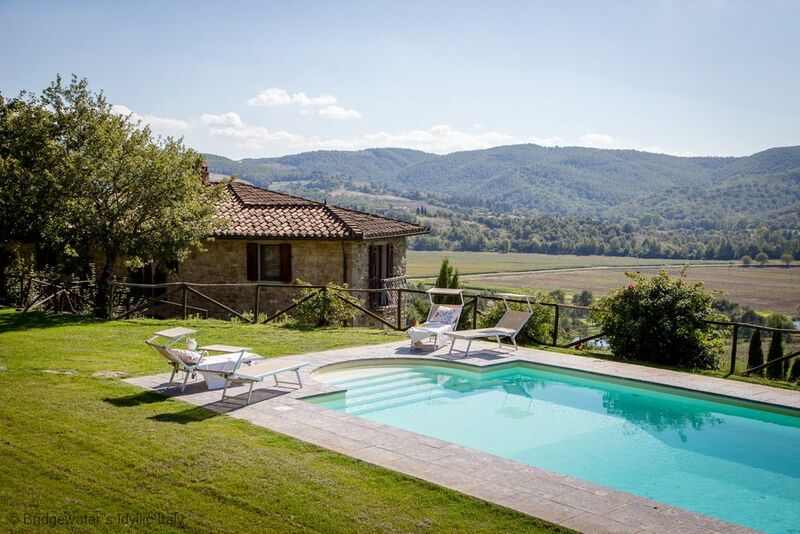 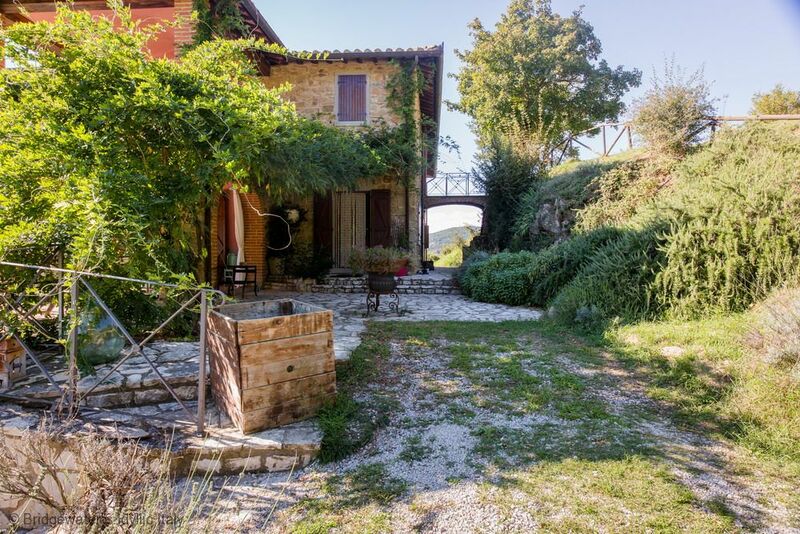 This charming stone built farmhouse perches on a hill in the valley of Pian di Marte on the border of Tuscany and Umbria. 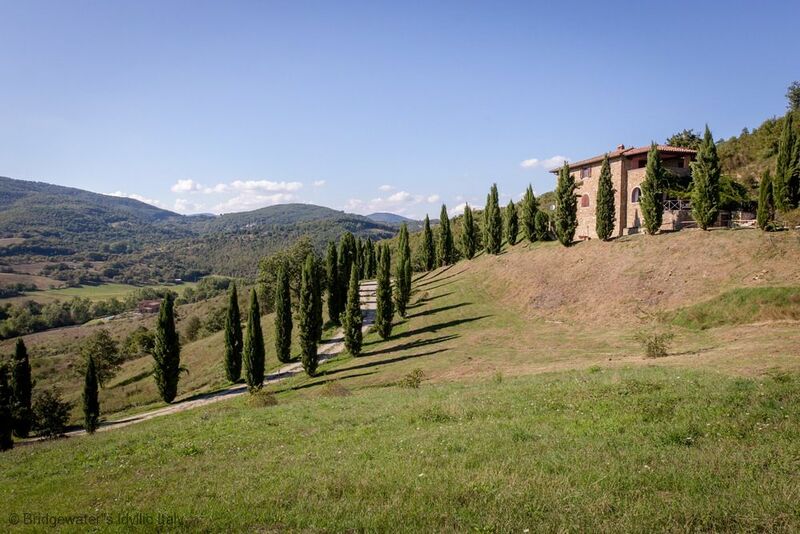 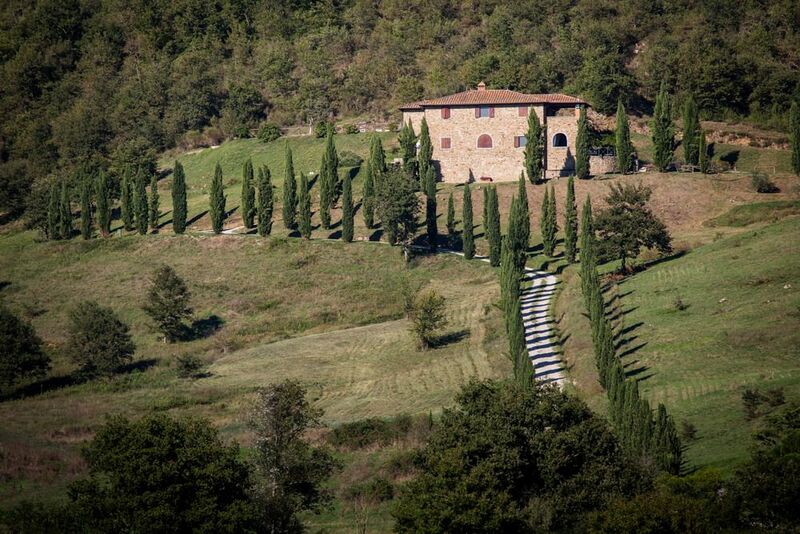 Recently restored, this spacious villa is surrounded by 6.5 hectares of land and enjoys wonderful countryside views. 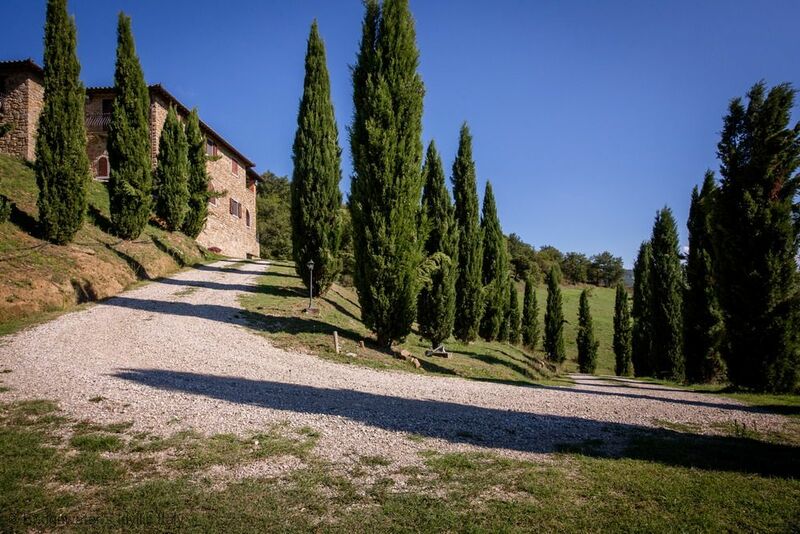 The bight, spacious accommodation is comfortably furnished. 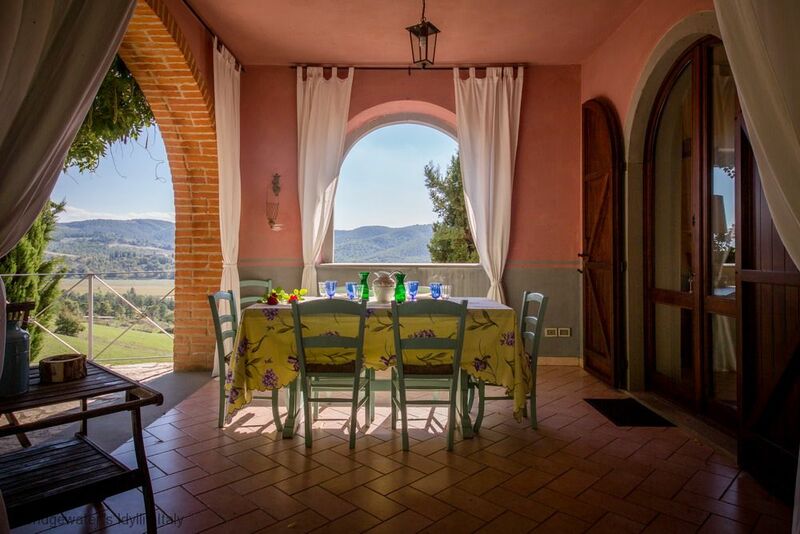 On the ground floor there is a large hall with hand-painted arches and fireplace in travertine, dining area with glass table for 12 people, kitchen, a bathroom with shower, laundry room and a beautiful portico ideal for al fresco meals whilst admiring the landscape. 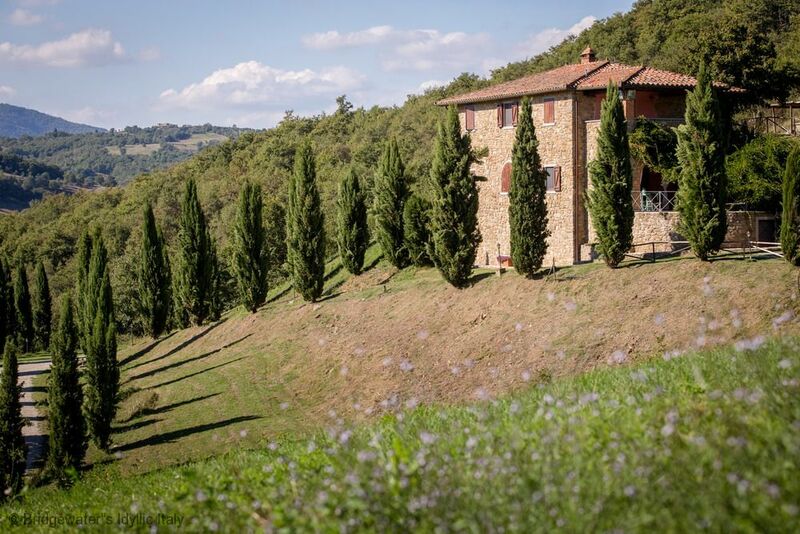 On the first floor there is a suite with bathroom equipped with Jacuzzi and hydro massage shower and an exclusive terrace with a breathtaking view on the valley; a double room, two twin rooms and another big bathroom with Jacuzzi and hydro massage shower. 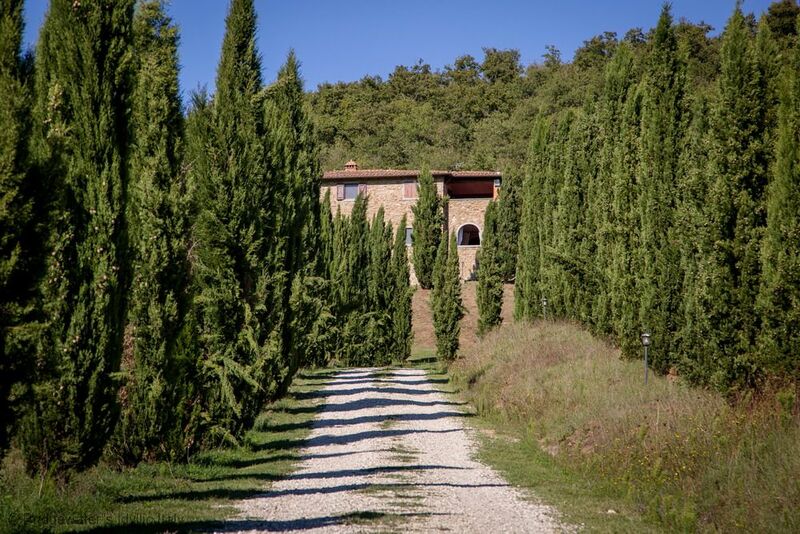 The long cypress alley and the surrounding areas of the house are in terra batted and gravel; the grounds are nicely cared for and an oak wood completes the property. 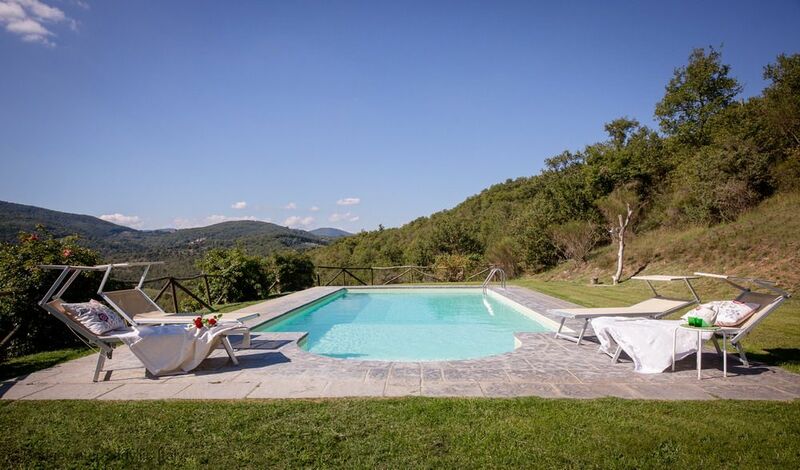 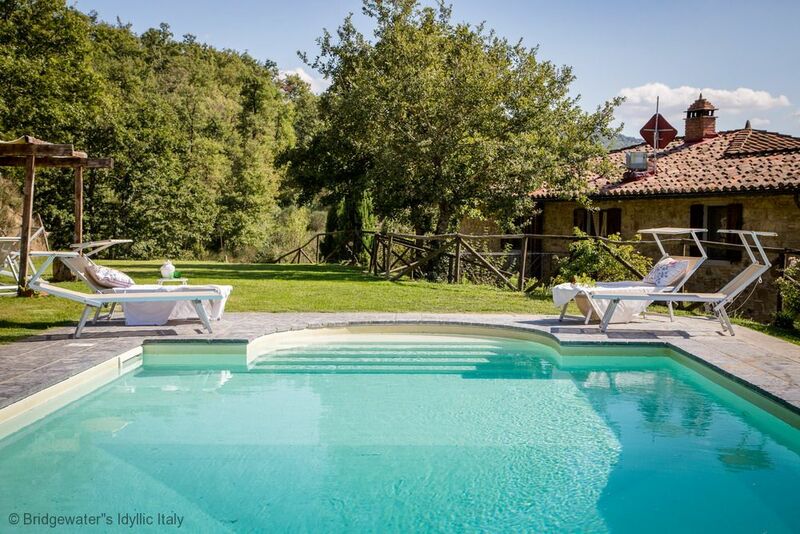 The swimming pool of 5x12 with roman stairs, depth from 1.20 – 2.20 metres is embedded in a nice garden in a position overlooking the valley and equipped with umbrellas, sun beds, deck chairs and external shower. 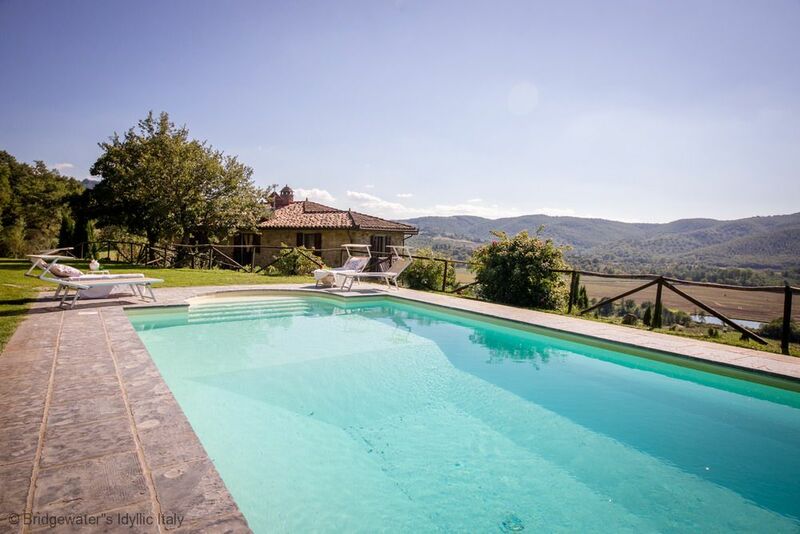 Independent entrance with automatic gate, satellite TV, DVD, Hi-Fi, video-player, mosquito nets, burglar system, laundry room with washing machine, dishwasher, pool, uncovered car park, barbecue, fireplace, Jacuzzi and hydro massage showers.